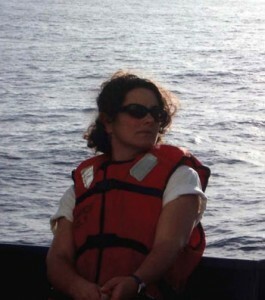 My research interests are driven by a desire to understand the ocean’s role in climate and climate variability. To this end, my current research is focused on understanding the underlying ocean dynamics that infl uence (1) the size and structure of the Southern Ocean overturning circulation, and (2) the formation, property characteristics, and dispersal of mode waters, namely, Southern Ocean Subantarctic Mode Water and Antarctic Intermediate Water. I am approaching each research theme from a number of angles, and am pursuing these themes through collection and analysis of a wide variety of ocean observations—shipboard, floats and moorings, and remotely sensed data (satellite altimetry). Throughout my high school education I enjoyed mathematics, physics, and chemistry. I was also very interested in learning about Earth’s climate system, specifi cally how the different components (ocean, atmosphere, biosphere) interact. Physical oceanography allows me to apply my mathematics and physics skills to investigate questions concerning ocean circulation and ocean-atmosphere interactions. The use of these skills to explore environmental issues is one the enjoyable aspects of my research; the other is the exploratory nature of ocean science. Ocean circulation and its interaction with the atmosphere and biology is still poorly observed and understood. Going to sea to collect observations always reveals some novel results. Combining the different stages of a science career and personal life can be a challenge. The difficulty has been to combine both such that neither suffers unduly. When my children were young I refrained from going to sea and concentrated on land-based observational studies. As the children are now older I am becoming more actively involved in the planning of and participation on research proposals that require me to go to sea. This change in my research direction has required me to reinvent myself within the ocean science community. Once again I have to establish a reputation as a capable scientist able to plan and successfully complete complex field programs.